GP3-4 Air “An Lot,” BBC ALBA, Comhla ri Sweeny! BBC Alba: An Lot, 8.30 f, Diluain. Ma leanas sibh an link gu h-ard chi sibh a chiad program anns an sreath “An Lot.” Tha Clas 3-4 gu bhith ann a program 2 agus 3. Pupils and Staff of Sgoil a Bhac where delighted when the Parent Council made an amazing £590.80 from the raffle of the hampers at our recent Christmas Show. We were also pleased when £525.76 was raised for Bethesda through the cake raffle and donations at the door. Reverend Calum Iain Macleod performed his last school assembly as the school’s chaplin, following his call to the congregations of Femintosh and Resolis in the Black Isle. We thank him for his time and dedication to the school as the school chaplin and wish him the best of luck. 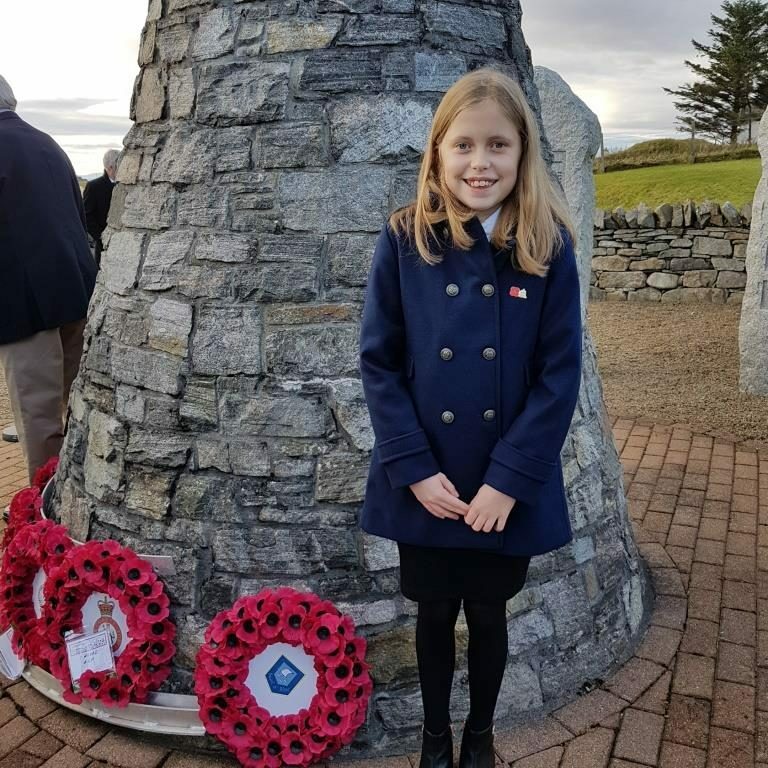 We were delighted that Bethany Macritchie GP7 was able to attend the Remembrance Day Service and lay the wreath for Sgoil a’ Bhac at the War Memorial on Sunday. The main focus for “The Green Team” has been to tidy up the garden area at the front of the school and to improve the look of the school grounds. The Press Gang has been busy keeping people in the school community up to date with all the news from the school. Keep reading the Loch a’ Tuath News for our monthly updates. They also have allocated areas in the social Area for each class to report about what is going on in their class. The Healthy Choices group has been learning about healthy eating choices and baking different foods such as healthy buns and tasting different types of food.